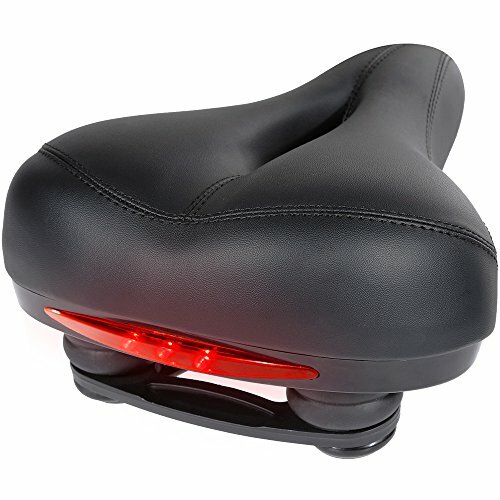 Zacro gel bike saddle comes with led taillights which including a battery (type: CR2032). General speaking, the life of the taillight is 2 years, and the life of battery is 15 hours. The battery can be replaced so that you can save money in changing the taillight and also can avoid the trouble of replacing the taillight. No.3, the light will be flashing quickly. If you don’t know how to replace the battery, pls refer to our sixth picture.